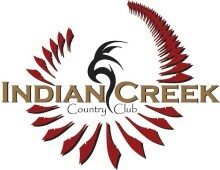 We invite you to come and rediscover the beauty of Indian Creek Country Club, a unique public golf club with a fun friendly atmosphere. 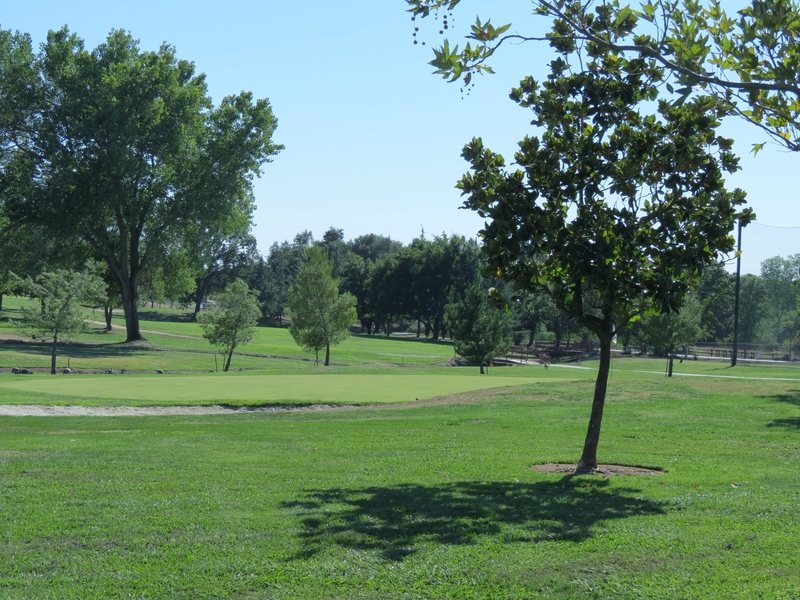 At Indian Creek, we have all the amenities; a challenging par 32 golf course that is nestled among beautiful valley oaks and dotted with granite outcroppings. 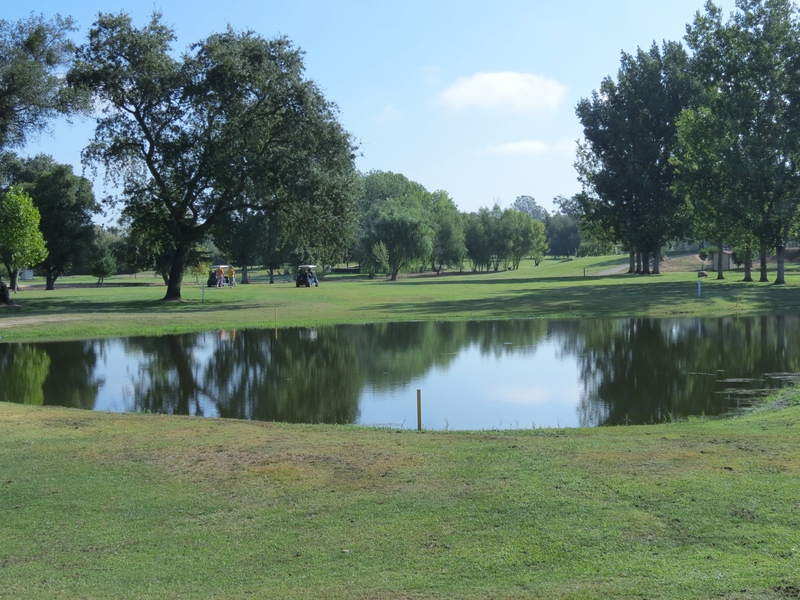 A year-round creek, pond, wetlands and a lake offer quite a few water hazards. 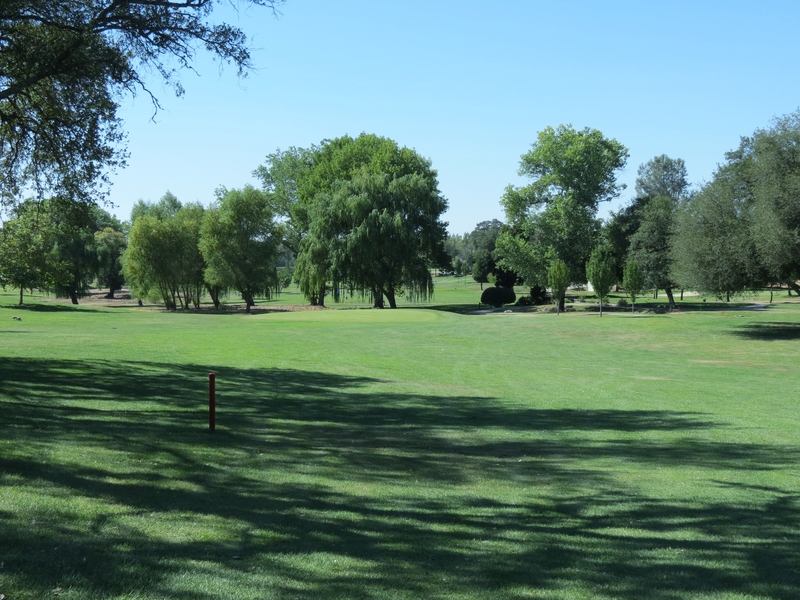 We’ve lowered our golf rates, payable by round of golf or monthly basis. Electric golf carts, golf clubs and pull carts are available for rent. 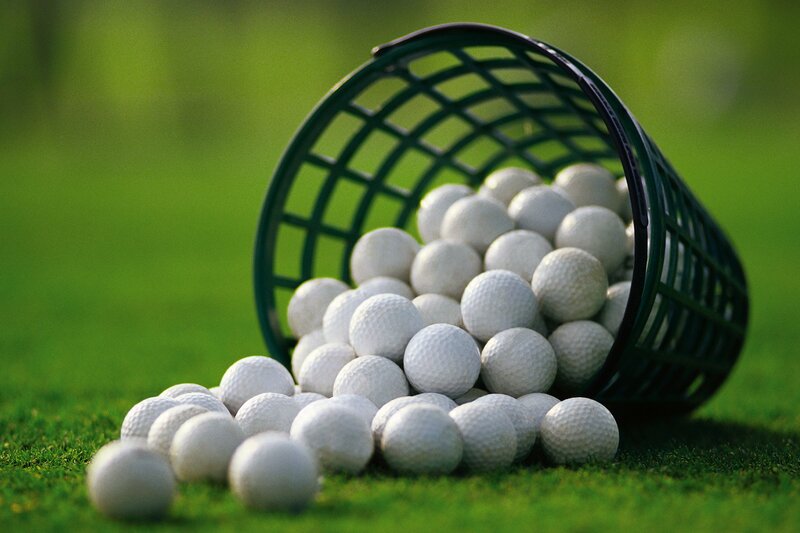 You can hone up on your golf game on our top-of-the-line golf driving range and practice putting green. Under the skillful instruction of our golf professionals, Mark Hatala, PGA, and Patty Snyder, LPGA, you’ll feel so much better about your game. They offer both group and private lessons for adults and juniors. Looking to improve your golf game? Let Patty Snyder and Mark Hatala, our LPGA and PGA golf professionals be a part of your development. From individual private lessons to small groups and clinics, they have what you are looking for. Come and learn the game in a fun and friendly environment! 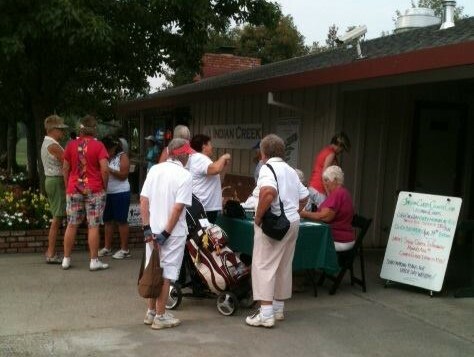 Call Patty at 916.521.4715 Or Mark Hatala @ 530.295.7359 to schedule individual, group or corporate lessons. Come join one of our clubs and we can improve your game together. You will meet many avid golfers that love to have a good Outing of Golf with new friends. Friendly Competition is created within our Golf clubs. We love to see our golfers form new relationships while improving their game. We guarantee you will have a great experience. 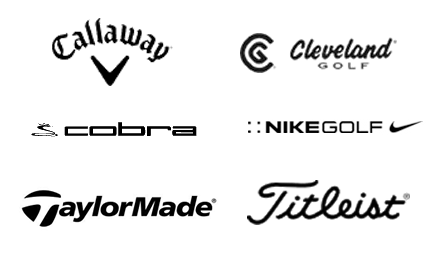 We can equip you with all your golf necessities at competitive rates. With a new set of Irons that fits your swing or that putter that gives you more feel we know you can take your game to the next level. We can even help you look like the pros with our affordable apparal. Come pay us a visit!! 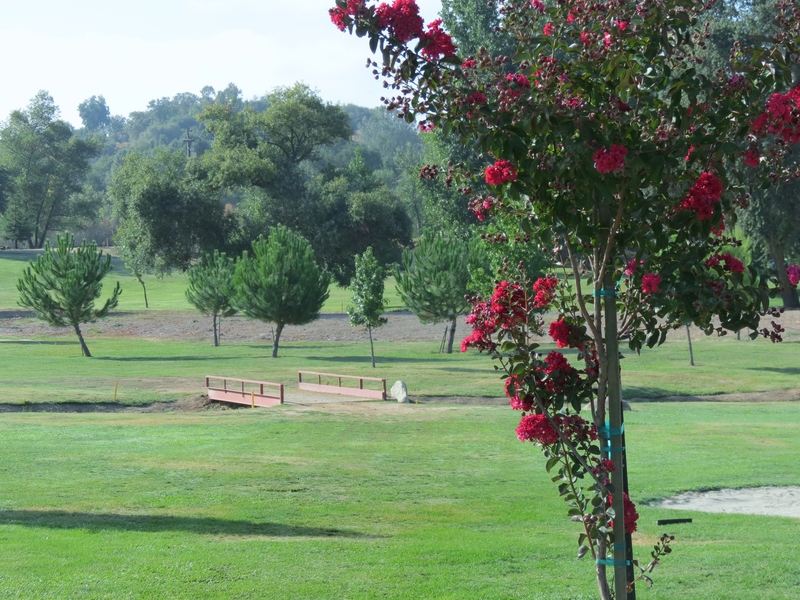 The course rating is 30.4 and it has a slope rating of 98. Designed by James Davis Clark, the Indian Creek Country Club opened in 1968.